Mike Anderson Chevrolet- Merrillville has initiated a giving campaign to bring additional attention and resources to charities providing services around Merrillville, IN accessible within one and a half hour by car. Any non-political charitable organization with a qualifying IRS 501c3 designation is eligible to participate or be considered for support as part of this program. In 2016, Mike Anderson Chevrolet- Merrillville initiated a program designed to support our community the way you all have supported us! Now continuing in 2016, any non-political charitable organization with a qualifying IRS 501c3 designation is eligible to participate or be considered for support as part of this program. 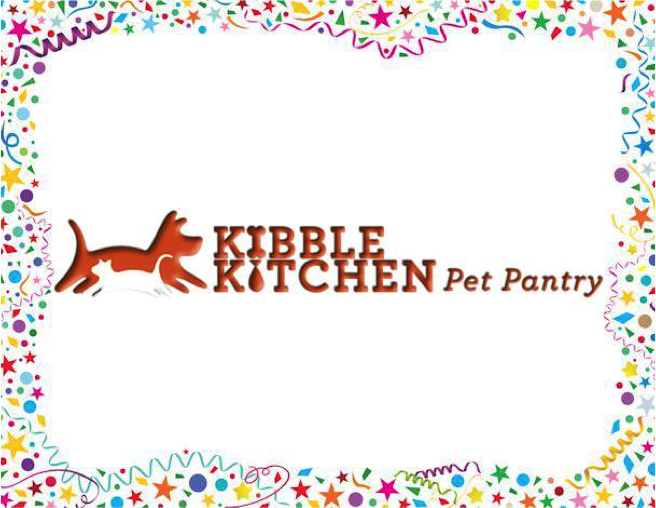 Logo placement and/or recognition within the website for one month. Charity nominations are opened on the 1st of the month at 12:01am CST and closed on the 15th of each month at 5:00pm CST. Voting is opened the 16th at 12:01am CST and closed on the last day of the month at 11:59pm CST. A charity is limited to 3 awards through any 12-month period. You may vote for your charity once a day, every day until the contest ends. Mike Anderson Chevrolet- Merrillville will retain the right to ‘approve’ or ‘disapprove’ of any displays, text, writings, logos, or references to the charity that would be presented for support or placement on Mike Anderson Chevrolet- Merrillville associated sites or locations. Charity or organization must provide proof of 501c3 charity if applicable. Proof should be emailed prior to vote ending. Provide hard copy to dealer at time of award. Mike Anderson Chevrolet- Merrillville reserves the right to change or cancel this program at anytime. Based upon votes place in support of the nomination of Facebook. Vote count is based upon votes received from the 16th of the month to the last day of the month. 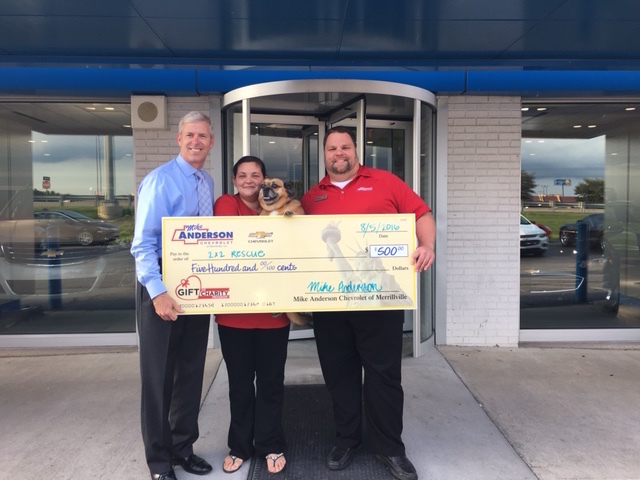 Ultimate decision of monthly winners is determined by the management or staff of Mike Anderson Chevrolet- Merrillville, and will be approved or disapproved within 72 hours of contest’s end. The winning organization or cause can receive payment within 5-10 business days after the close of voting. Once votes are tallied, winner will be notified via Facebook, and will be contacted to set date and time of giveaway. Mike Anderson Chevrolet- Merrillville is hoping that this effort will allow a variety of groups and organizations to get recognized for their hard work and dedication to our community. We sincerely hope that all area charities will participate and reap the benefits presented within this program. Contact us at Mike Anderson Chevrolet- Merrillville for more information. 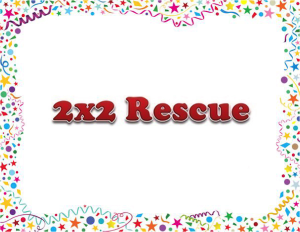 2×2 Rescue is an organization dedicated to saving the often overlooked animals at high kill shelters. 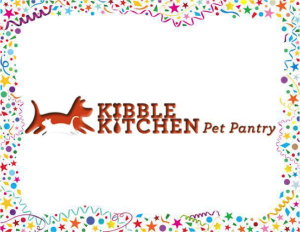 The mission of the Kibble Kitchen is to keep pet-owners suffering from economic crisis from relinquishing their pets by providing free pet food until the pet-owner is once again able to afford to care for their pet.